His emotional testimony, choking back tears as he discussed a Muslim-American first-responder killed on 9/11, garnered national headlines last month for U.S. Rep. Keith Ellison. But two days after a House committee hearing on Muslim radicalization, the Minnesota Democrat had a far more hostile tone. In a speech in Rochester Hills, Mich., Ellison made a series of personal attacks against three other witnesses who were on the opposite side of the issue. He seemed to blame Melvin Bledsoe for the actions of his son Carlos, who stands accused of shooting and killing an Army private after converting to Islam and becoming radicalized. A Somali-American who complained about interference from organized Islamist groups while trying to learn about a score of missing young men who turned up with a terrorist group in Somalia was there simply to "diss" the Muslim community in Minneapolis. Zuhdi Jasser, a Phoenix physician who challenges the Islamist narrative, simply is out to make a buck, Ellison said. His tearful tribute to Mohammed Salman Hamdani came before the House Homeland Security Committee and the national media drawn to the controversial hearing called by Rep. Peter King, R-N.Y. Ellison's attacks on the other witnesses came before a friendlier and more partisan crowd, with sponsors that included the Muslim Students Association (MSA) at the University of Michigan-Dearborn. The hearing generated controversy because of its focus on radicalization solely among Muslims in America. Committee Democrats criticized King and the hearing's premise, with Rep. Sheila Jackson Lee of Texas saying the proceedings placed the U.S. Constitution "in pain." California Rep. Jackie Speier dismissed the witness testimony as anecdotal. Ellison's speech echoed that criticism, and he told his Michigan audience that if King "really was trying to learn something about violent radicalization, why wouldn't he include [as a witness] somebody who actually had something to say of value?" Ellison asked. Instead, he called "one guy... named Mr. Bledsoe, whose son I guess became a Muslim, went to Yemen, came back and killed some police officers (sic)." Bledsoe dropped out of college shortly after his conversion to Islam in 2004. Muslim leaders in Nashville urged him to go to Yemen, long a hotbed of jihadist activity. In 2007 he traveled there, apparently to study under a radical imam. He is accused of opening fire outside an Army recruiting office in Little Rock, Ark. in June 2009, killing one soldier, Pvt. William Long, and seriously wounding another, Pvt. Quinton Ezeagwula. In his testimony, Melvin Bledsoe recounted his son's descent into violence, saying the American people are largely unaware of the threat posed by Islamist radicalism. "There is a big elephant in the room, but our society continues not to see it," Bledsoe said. After stating that he did not want to bring pain to a grieving parent, Ellison appeared to suggest that the bulk of the blame for Carlos Bledsoe's radicalization didn't lie with the jihadists who indoctrinated him, but with his father. Carlos "was in that man's house all his life. He's a Muslim for a few years. Enough said," Ellison said. Melvin Bledsoe did not mince words when told about Ellison's comments during an interview with the Investigative Project on Terrorism. He dismissed Ellison's notion that radical Islam played no part in his son's actions. Carlos left the Bledsoe home in 2003, changed his name to Abdulhakim Mujahid Muhammad when he converted to Islam a year later, and spent extensive time in Yemen. "They stole my son," Bledsoe said. "They raped his mind. They changed his thought, his behavior. They changed him from Carlos to Abdulhakim. I asked God to give me my son back." Ellison is a "fool" and "liar" when he tries to deny the insidious nature of jihadist recruiting that is occurring in this country, Bledsoe said. In his speech, Ellison expressed similar disdain for Abdirizak Bihi, a Somali American from Minneapolis who also testified. Bihi's teenage nephew Burhan Hassan was shot to death in Somalia in June 2009. Burhan was one of at least 20 Somali men and teenage boys from the Twin Cities area who have traveled to Somalia since 2007 to fight for the terrorist group al-Shabaab. The "only reason" Bihi was invited to testify was "because he's willing to diss the Somali and Muslim community in Minneapolis," Ellison said. As part of his testimony, Bihi described how Islamist leaders discouraged people from cooperating with the investigation into the missing men. Talking to the FBI could get you sent to Guantanamo Bay, they said. And, there are consequences in the afterlife by being damned with "eternal fire and hell." Ellison's harshest remarks were reserved for Zuhdi Jasser, president of the American Islamic Forum for Democracy - and like Bihi, a non-Islamist Muslim. Jasser was invited to testify "because he fits the narrative of people who want to defame you," Ellison told his Michigan audience. Jasser's real goal, he suggested, was to criticize Muslims in order to enrich himself. Ellison said that "if you want to make some money talking about Muslims," follow the example of Ayaan Hirsi Ali. Hirsi Ali renounced her faith and has been highly critical of it in her writing. A good portion of her money goes to 24-hour-protection since her life was threatened in 2004. When filmmaker Theo Van Gogh was murdered on an Amsterdam street, the killer tacked a note on him saying Hirsi Ali would be next. The two collaborated on "Submission," a short film protesting the treatment of women in Islam. Ellison said: "You know, I think Zuhdi Jasser just said, 'Why should Ayaan Hirsi Ali make all the money'" criticizing Islam? In a statement to the Investigative Project on Terrorism, Jasser, a devout Muslim, said he was shocked by the carelessness of Ellison's statements. 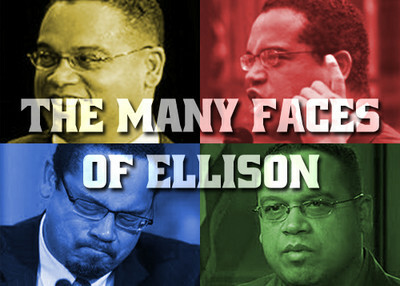 Ellison engaged in "fabrication and character assassination rather than" debate the issues put forward, Jasser wrote. "Perhaps it is naïve of me to assume that a sitting member of Congress would maintain a degree of honesty and forthrightness commensurate with his office. Congressman Ellison's false and malignant attacks on my character and integrity speak volumes to the tactics used by leading Islamists in their efforts to marginalize dissent within our Muslim communities," Jasser wrote. "Mr. Ellison's behavior also demonstrates the mudslinging directed toward reform minded Muslims by some leading Muslims threatened by our ideas." Another Ellison claim about Jasser "is a complete fabrication," said a Des Moines man who was involved in the incident. In October, Drake University hosted a forum on Islam. Ellison claimed that Jasser approached the congressman's son, who was president of the MSA at Drake, and "demanded" to be included in the "What it means to be an American Muslim" event. Stanley Richards, a philanthropist and sponsor of the event, said that was not true. Jasser was the first person he contacted about attending the forum. Jasser's organization then invited the Drake Muslim Student Association to participate. Ellison's son "informed me that his board had voted not to participate" by sponsoring the forum or serving as a panelist, Richards said. Ellison's son Isaiah did attend the forum, making statements and asking questions. "Ellison's son spoke with Jasser after the forum and had a respectful conversation," Richards wrote. Rep. Ellison was also invited to be a panelist but declined due to a scheduling conflict. In his Michigan speech, Ellison claimed he had "gotten to know" Jasser and had had "debate[d]" him in the past. During an October 2009 Capitol Hill briefing on political Islam, the Minnesota congressman slandered Jasser as a bigot seeking to censor Islamists. Jasser criticized groups like the Council on American-Islamic Relations (CAIR) for trying to discredit reports noting the connection between radical Salafism and support for jihad. He said that if Muslims want equal respect and credibility they must "stand for reform within our faith of laws that are still in the 15th and 16th centuries." Ellison responded to Jasser's call for reform with an angry personal attack in which he virtually called him an Islamic "Uncle Tom." "I think you give people license for bigotry," Ellison told Jasser. "I think people who want to engage in nothing less than Muslim-hating really love you a lot because you give them freedom to do that." In Michigan, Ellison continued to mischaracterize Jasser's views and motives. Jasser advocates a "separation between mosque and state" and fights against "political Islam," the application of religious tenets into government and society as espoused by violent jihadists like al-Qaida to political movements like the Muslim Brotherhood. "By the way, I don't believe that my faith as a Muslim should be politicized," Ellison said. "My faith is way bigger than politics, right? So I don't agree with, but I don't even know what he's even talking about quite frankly. I don't know what he means." That's surprising, given that groups Ellison works closely with, including the Muslim American Society (MAS) was founded by Muslim Brotherhood members in the United States. MAS even paid for Ellison to travel to Mecca for the hajj in 2008. Brotherhood bylaws show its adherence to political Islam, calling for "the need to work on establishing the Islamic State, which seeks to effectively implement the provisions of Islam and its teachings." Court records show that CAIR, meanwhile, was created by a Hamas-support network in America created by the Muslim Brotherhood. Ellison repeatedly defended CAIR in his Michigan speech, saying it is "a legally operating organization" that would have been shut down had it done anything wrong. He failed to tell his audience that the FBI severed formal relations with CAIR nearly three years ago, due to questions about its founders' ties to the Hamas-support network known as the Palestine Committee. FBI Director Robert Mueller has repeated this position twice in the past month before congressional panels. In court papers, prosecutors wrote that CAIR was "a participant in an ongoing and ultimately unlawful conspiracy to support a designated terrorist organization, a conspiracy from which CAIR never withdrew." The Congressman cannot blame Jasser or the other witnesses for that. Ellison needs to take a good look at what AIFD's main goal is. He is taking it personally which is his right. He is looking at it from his point and not looking at the big picture. There is a problem with radicalization in this world. It is not happening just with the Muslim world. People are not born over night into these radical views which really are based on hate, jealousy or other evil intentions. I guess really the big picture that Mr. Jasser is trying to get across is it will take Muslims to help Muslims. In my life time this is the first time I've seen an organization use common sense, honor, courage, commitment to help bring healing to a Nation. As far as I'm concerned AIFD is setting up a righteous standard for all people or races to imitate. Just tell Ellison we are on to his phoney outrage! Shame on Ellison!!! It's about time he gets the message loud and clear that we are on to the phoney outrage of his and his fellow Islamafascist. Enough is enough!!! Someone should have asked Ellison how many people Carlos murdered or attempted to murder while living under his fathers roof for all those years compared to how many he murdered and attempted to murder in the few years he had been a muslim. Enough said! The writer called Ellison's plea a "tearful" one, but if you watch the tape there were no actual tears. Just a bad performance that for some reason? everyone bought... Watch the clip, I think it speaks volumes about Ellison's sincerity and his enabling of extremism. hang in there dr jasser, there are many who follow and support you in your efforts to bring the plight of the american muslim community to light.